It is very rare WWE gives us a quality match right before a Pay Per View, but on this night WWE decided to deliver a main event level match on Smackdown, and it didn't disappoint at all. 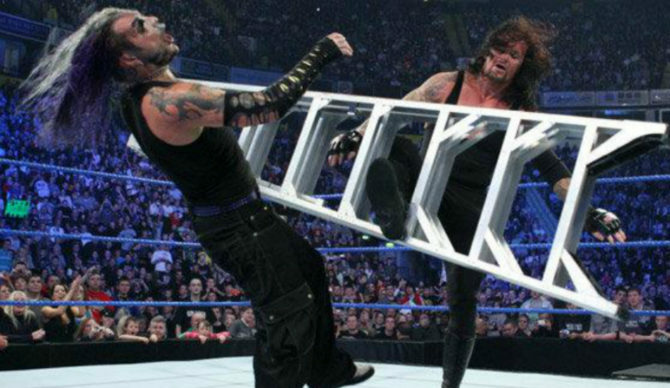 Let's go back to November 14, 2008 and revisit the epic Extreme Rules match between Jeff Hardy and The Undertaker on the 482nd episode of WWE Smackdown. Jeff Hardy was arguably WWE’s hottest and most deserving/popular wrestler. He kept touching the glass ceiling but could never crash through. He hounded management about getting a title shot and Vickie kept making him go through so many hoops. Meanwhile, management was going through a feud with the Undertaker, who was hot on the trails of Vickie Guerrero after dispatching her husband Edge. Vickie decided to kill two birds with one stone and put her two biggest adversaries in a match against each other. Two of WWE’s most beloved babyfaces waged war in this match. There were so many great spots and near falls in this match. 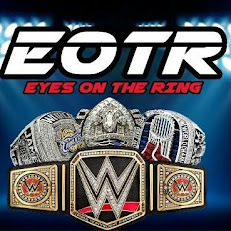 Jim Ross and Tazz sold the thrilling encounter. An appearance from the Big Show caused one of the biggest upsets in Smackdown history with Hardy pinning Taker. This match was simply fantastic, I'm just sad this wasn't on a Pay Per View. Undertaker sold Hardy’s offense well. Hardy played the resilient enigma to perfection and even Big Show’s interference didn't feel out of place. Tazz and JR told an excellent story and kudos to them for focusing on the guys in the match. If this match was a little bit longer, it would've gotten a perfect score.